Use on cards, documents, file folders etc., to show status. Die-cut pressure-sensitive adhesive colored paper labels. Press-on adhesive die-cut paper dots. 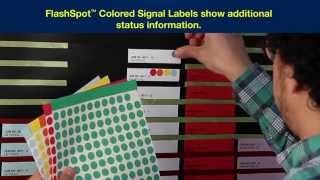 Attach them to cards, file folders, documents, or anything that you want to color code for status for attention.